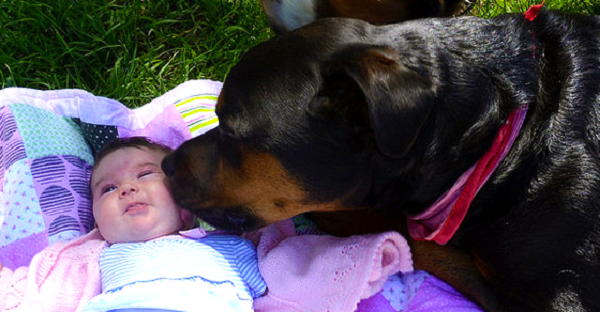 HERE ARE 30 REASONS WHY ROTTWEILERS ARE THE MOST DANGEROUS PETS. THE LAST ONE IS SCARY. Like pit bulls, Rottweilers are often characterized as violent and powerful dogs that should be feared and not allowed into your home. And of course, that is exactly right. Just take a look at these ferocious monsters and tell me you would want one in your family. 1. Look at this beast. 6. They’ll follow you everywhere. 7. They won’t get along with the cat. 8. They’ll wear it better than you. 9. They’ll make this face. 10. They’ll eat everything – and hide the rest. 11. They bring home too many presents. 12. They’ll tear up your shoes. 13. And steal your spot in bed. 14. Look what they do to furniture! 15. They have no patience. 16. You can’t let them babysit. 17. They’ll get your all wet. 18. They won’t take a serious picture. 19. They won’t want to play. 20. They won’t be of any help in a blizzard. 21. They look classier than you. 22. They have a smile you won’t be able to handle. 23. They don’t play well with other dogs. 24. Did we mention the bed thing? 25. They’ll read over your shoulder. 26. You won’t be able to say no to play time. 27. They’re known to eat… plants. 28. Don’t leave them with small animals! Oh my gosh, I sure wouldn’t want anyone to have to have one of these vicious animals so I’ll just have to take all of them home with me. Share these lovable Rottweilers with your friends and show them the perils of owning one.